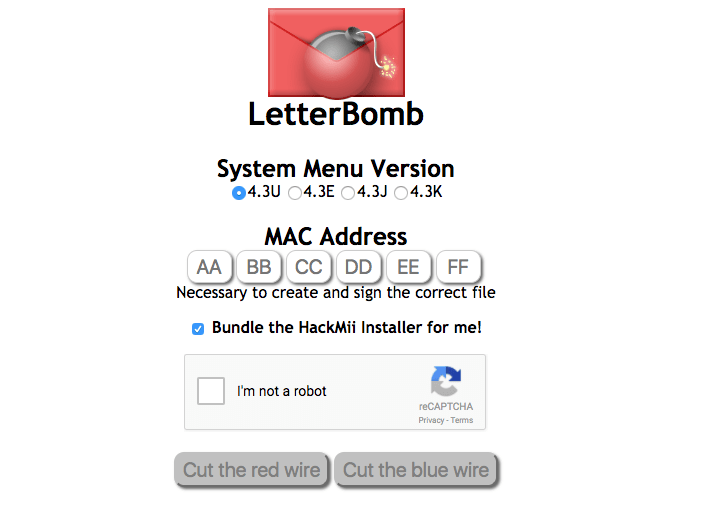 LetterBomb is an exploit for the Wii that is triggered using the Wii Message Board. Go to Wii Settings -> Internet -> Console Information and make note of your MAC address. Go to please.hackmii.com, input your Wii MAC and region, complete the CAPTCHA, ensure Bundle the HackMii Installer for me! is checked, and click either “Cut the red wire” or “Cut the blue wire”; it doesn’t matter which one you choose. Extract the contents of the downloaded ZIP to your SD card. On your Wii, return to the Wii Menu and then open the Message Board. 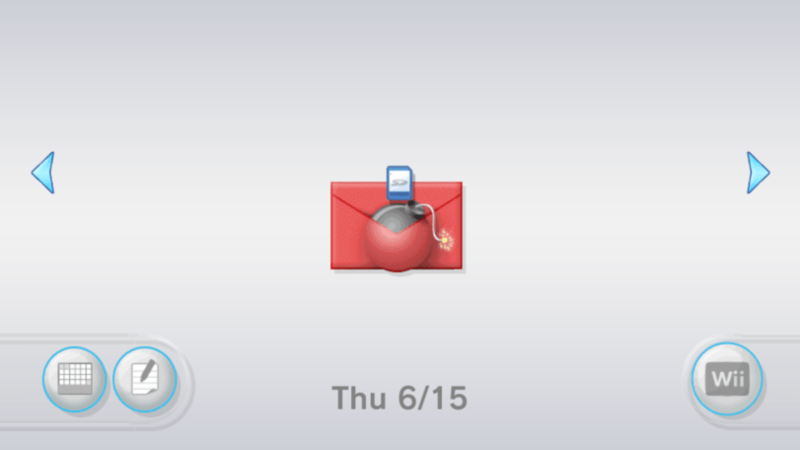 Load the red letter with a bomb icon. In various scenarios, you may need to look at the previous or next day to find it.